For some time now, lots of people -- us included -- have been heralding LED Christmas Lights as a wonderful innovation. We, and many others, have for years proclaimed LED Christmas Lights as a great boon to Christmas Enthusiasts. But some of you just aren't seeing it. Instead, lots of Christmas Enthusiasts remain unconvinced about the advantages of LEDs over incandescents. And that's not just a knee-jerk opinion. 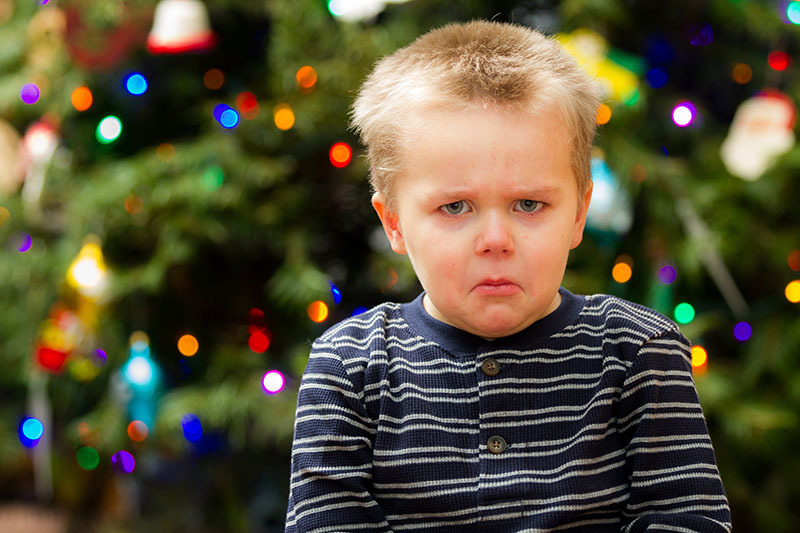 A number of Christmas Enthusiasts have tried LEDs, and just haven't liked them. They haven't liked how the lights look, and they've been disappointed with the durability of the lights. If you're shopping for Christmas lights, it's quite understandable if you find yourself confused about the situation. On one hand, you have experts like us telling you that LED Christmas lights are the greatest things since sliced bread. But on the other hand, you also keep hearing about people that have been SO disappointed with their LED lights. 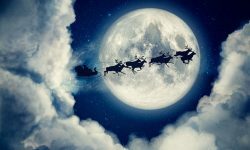 Are LED Christmas lights a fabulous advancement in technology over old-fashioned incandescents? Or are they a consumer's worst nightmare? The answer is sort of a good news / bad news scenario: The truth is that both extremes exist. 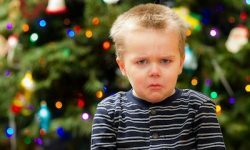 It's unfortunately true that lots of consumers have had a bad experience with LED Christmas lights. They've purchased lights that haven't lasted long, or that simply looked terrible. But it's also true that LEDs do offer a great technological leap over incandescents. Consider this fact: Virtually every commercially-installed Christmas light display you'll see this season will consist of ONLY LED lights - no incandescents. Our own installation department has such confidence in LEDs that we absolutely refuse to install incandescents on any of our commercial lighting job sites. And while early LEDs were sometimes inferior to incandescents in appearance, that's no longer true. The quality, bulb intensity, and overall look of quality LEDs has evolved significantly over the past decade. They now match or surpass the look of incandescents. To put it bluntly, there are good LEDs, and there are bad LEDs. And you can guarantee that you always and only buy the good LEDs by following two simple rules. Many LED light sets sold -- especially the cheaper light sets -- are of a two-piece design. That simply means that you can remove the bulb from the socket. 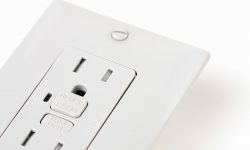 The alternative is a one-piece design, where the bulb and socket are manufactured as a single unit. Initially, you might think that the two-piece design offers some advantages. But in truth, the separation in the bulb and socket allows dirt and moisture to enter the lighting system, significantly increasing the likelihood of a light set failing. I know what you might be thinking. You're remembering all the times you had a bulb burn out on a string of incandescent lights, and had to replace it. And you're probably thinking that with a one-piece design, you won't be able to do that. Don't worry; you won't need to do that. A typical LED bulb lasts for a minimum of 25,000 hours. You're not going to have to replace burned-out bulbs. Just so you know: Pro Christmas light installers use ONLY one-piece light sets; they won't touch two-piece sets. It's an unfortunate fact that there are lots of poor-quality LED Christmas lights on the market. And most of them are sold at big box retailers. The reason is simple: those stores are buying at the lowest possible price, so they can sell to you at the lowest possible price. That's a model that works just fine for laundry detergent and toilet paper. But not so much for Christmas lights. Specialty retailers like Christmas Designers work hard at sourcing only top-quality lights and decorations. We're not looking to sell at the cheapest price. Our goal is to assure that we always and only sell top-quality lights. One-Piece Design: Our Pro Grade lights avoid the problems that are typical with two-piece light sets. Most light sets sold at the big retailers are of the less durable two-piece design. Quality Diodes: Our Pro Grade lights are manufactured with brighter, more durable diodes than cheaper retail light sets. Better Color Consistency: Color consistency can be a problem with LEDs. Colors can vary from year to year and from light set to light set. With cheaper light sets, in fact, colors can vary by as much as 40%. It's a problem that can be particularly noticeable with warm white light sets. But our Pro Grade lights are required to conform to a color differential standard of less than 3%. That means that any color variations within our Pro Grade line will be undetectable to the human eye. 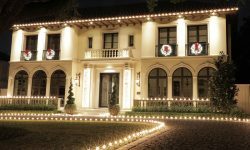 Optimum Light Line Length: It's a rule-of-thumb that pro Christmas light installers know very well: The longer a light line, the more likely it is to fail. Longer light sets are more difficult to work with. They're more likely to tangle, and they tend to receive more abuse during installation and takedown. Retail light sets are often much longer than they should be - again, for reasons of economy. 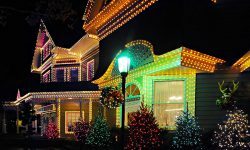 But all of our Pro Grade LED Christmas Light sets are designed at an optimum length, generally between 23 and 33 feet. That makes the light sets more durable and easier to use. Don't let some of the horror stories you've heard about LEDs scare you away. They really are SO much better than the old incandescents. 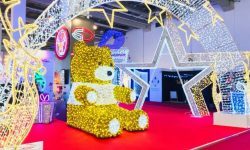 Just follow the two golden rules for buying lights, and you'll enjoy all the advantages of LEDs while avoiding the potential problems. Because LED Christmas lights -- if you buy the right lights -- really are the greatest things since sliced bread. And maybe even better!